In a career spanning over two decades, Donna's clientelle focus is physicians and health care professionals. Donna received her B.A. degree from Providence College, an M.I.M. degree from The American Graduate School of International Management (Thunderbird) in Arizona, and her RHU and CLU designations from The American College. She has authored articles on professional disability insurance, which have appeared in such publications as Lawyers Weekly and Medical Economics. Donna specializes in Professional Disability Insurance, Medical Malpractice and Commercial General Liability, Life Insurance, Long-Term Care, as well as Small Group Benefit Packages. 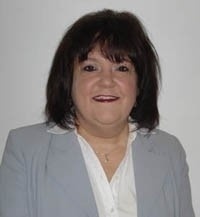 Donna DiBiasio is a Registered Representative of Equity Services, Inc. and offers securities in FL, GA, KY, MA, NJ, and RI. Donna is insurance licensed in AZ, MA, MD, GA, and RI. Long-Term Care and Disability insurance are offered through representatives who are independently contracted with insurers providing such coverages and are neither underwritten nor issued by National Life Insurance Company. *Memberships and Award are based upon sales criteria. **William Maloney is a Registered Representative of Equity Services, Inc. and offers securities in AZ, CA, CT, FL, MA, MD, ME, NC, NJ, NY, PA, and RI. He is also insurance licensed in MA and RI. ***Long-Term Care and Disability insurance are available through representatives who are independently contracted with one or more insurers who provide these types of insurance contracts. Long-Term Care and disability insurance are not underwritten nor issued by National Life Insurance Company. 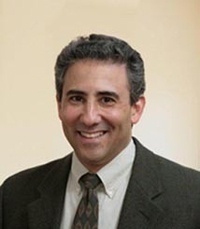 Ralph Nathan is licensed to sell life insurance in the state of Rhode Island. Prior to becoming an Insurance Professional, Marcia was an Accounting Manager. Marcia has over 12 years experience as an Insurance Professional, focusing on Life, Annuities and Disability Insurances. She is insurance licensed in AZ, MA, RI, and TX. She has one daughter, enjoys walking, gardening and traveling, and resides in Arizona. Over 25 years of experience managing his family's Rhode Island textile business has allowed Michael to be well versed in the many financial issues that people face today. With a particular focus on the business community, Michael specializes in life insurance, retirement plans and investments. His business philosophy is reflected in his sportsmanship and meticulous planning, and is combined with careful cultivation of strong relationships. This approach to serving his clients enables Michael to support them in striving to meet their goals. His clients include individuals, families and businesses. He is a Registered Representative of Equity Services, Inc. and offers securities in AZ, MA, MD, NH, and RI. He is also insurance licensed in AZ, CT, MA, and RI. In his free time, Michael is an active sportsman with interests in horseback riding, biking, hiking, skiing, golfing, and scuba diving. Michael has been a horsemanship instructor, as well as an open ocean waters diver.